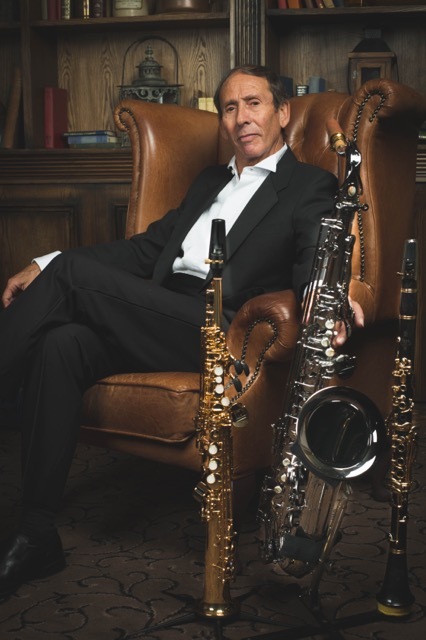 David will create a relaxing mood for your function with foot-tapping numbers, gentle melodies and show-stopping themes from films and musical shows, all played with full bodied tenor saxophone, and mellow clarinet. The change of instrument produces a refreshing sound contrast and feeling. 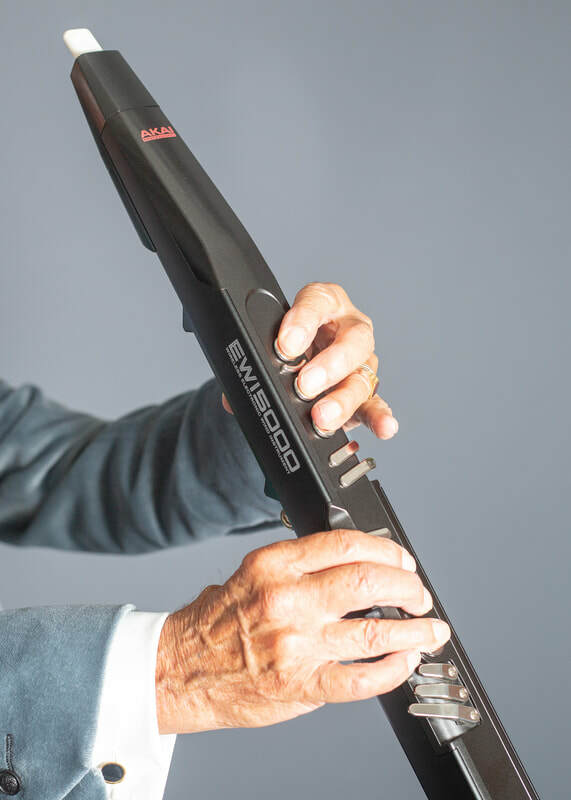 David has recently introduced an electronic wind instrument, an EWI5000, and a demonstration can be heard above the video promotion. ​A CD is now available containing David's most requested titles. All instruments are accompanied by pre- recorded musicians and the overall volume is adjusted to suit the size of the venue, ensuring that all guests can converse with ease. Public liability insurance and electrical safety, (PAT) certificates are all current. 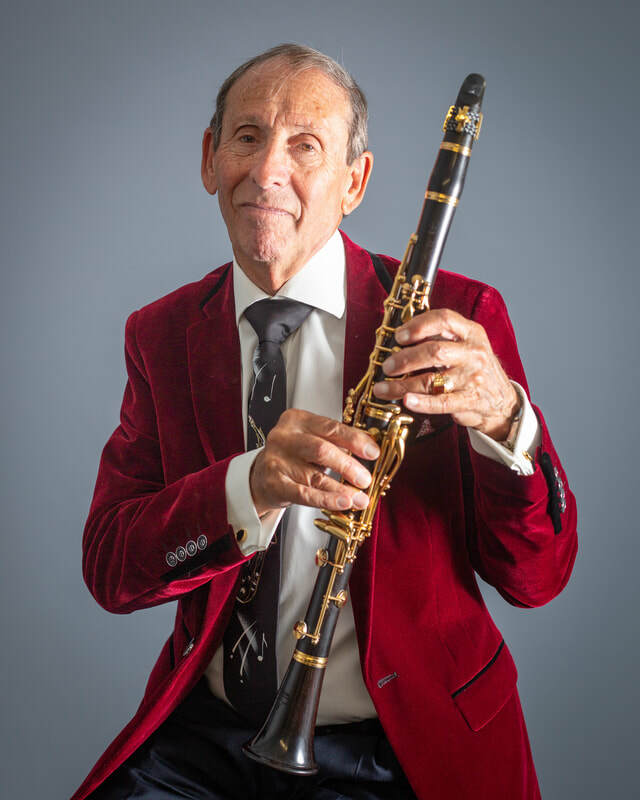 ​David currently plays a Cannonball Tenor Saxophone with Otto Link metal mouthpiece and a gold lacquer finish, special edition Yamaha B flat clarinet with a Selmer mouthpiece. The following equipment is used. DPA 4099 condenser instrument microphone, Shure SM58 for voice announcements, Bose T1 Tonematch mixer, Bose L1 Compact PA or a pair of Trusonic Alto active speakers. (depends on venue size), Tascam DR100 to replay pre-recorded musicians. 9.5 inch iPad for written music with wireless foot switch to change pages. For the past 6 years, David has been employed in a ten piece showband, playing baritone saxophone for Carnival Cruises in the Caribbean and Mexico. Prior to that, he was first alto saxophone in an RAF voluntary band and clarinet in their woodwind ensemble. The wind band performed for military dinners, concerts, London Royal Parks and toured in Malta, Norway, Salzburg and South Germany. 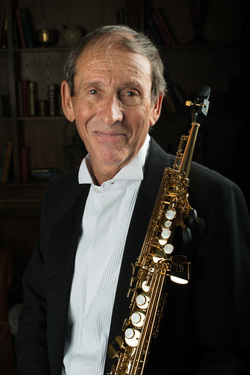 David is a private music tutor on all saxophones/clarinet and is a registered member of the Associated Board, coaching and entering pupils for their grades and a member of the Musicians' Union. 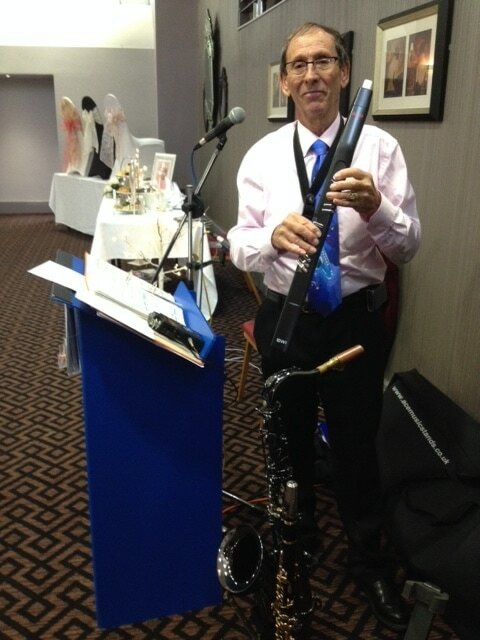 Recent engagements include wedding reception/breakfasts, wedding fayres, hotel lunches/dinners, anniversary/birthday celebrations, corporate events and entertainment in senior day centres and residential homes. 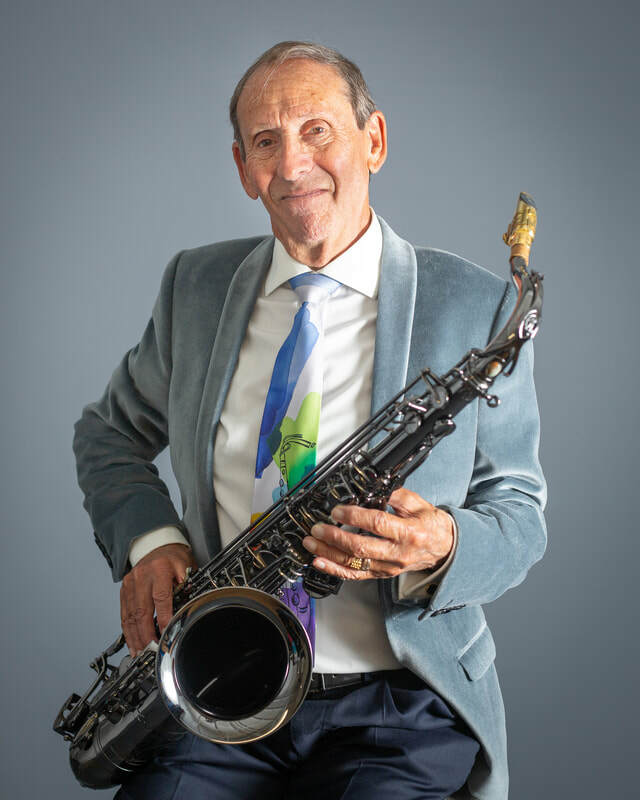 In the summer months, David is a regular entertainer on the Princess Theatre Terrace Wine Bar, the Hunstanton bandstand and a covered entertainment area in town called The Spinney. David was employed as a broadcast engineer with the British Forces Broadcasting Service and worked in Cyprus, Malta, Germany, Hong Kong and the Falkland Islands. Please see current engagement page for availability.